No matter how well you tend your yard, the summer months are cruel. With all the extra travel, the hot summer sun, and a busier season at work, keeping your yard fresh and clean takes more work than normal. If you’re tired of tearing out dessicated bushes for Mr Junk to haul away, take heart. These summer landscape watering tips will keep your yard healthy and fresh. Out with the old. Before renovating your summer landscape, clean up dead branches, note which shrubs won’t recover, and call Mr Junk to haul off the evidence. Plant smart. If you’re tired of looking at brown leaves and withered branches, it may be time to rethink your planting strategy. Choose grass that’s acclimated to Georgia’s hot summers (Zoysia and Bermuda are proven winners). Plant drought tolerant trees, shrubs, and flowers to reduce maintenance (and that instant browning when you leave town for the weekend). If you’re fighting a constant battle with your yard, decrease yard work (and your water bill) by replacing patches of grass with native plants. Water wisely. Tired of draining funds toward your water bill each month? Your landscaping practices may be at fault. Most homeowners don’t realize that water runoff, watering at the wrong time, and watering too shallowly waste water without benefiting plants. Make sure your lawn absorbs enough hydration by watering deeply a few times a week, resetting your sprinkler system for early morning, and paying attention to the needs of individual plants. Ready to start fresh? 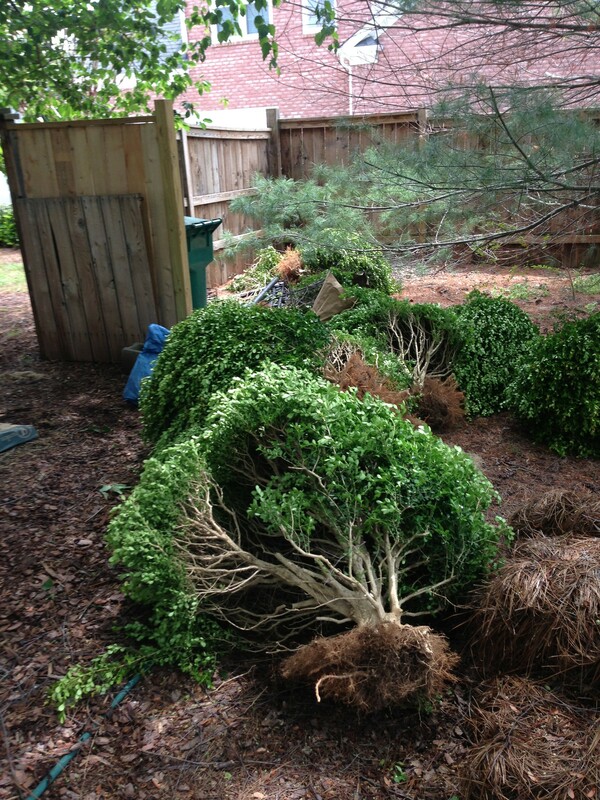 Call Mr Junk to haul Alpharetta yard debris like branches, brush, and dead shrubs.